Referring to the CDC, there are about more than 25 million people in the United States were currently suffering from asthma symptoms. In addition, statistics show that there are about one in two people who currently suffer from asthma that has experienced an asthma attack. Having asthma is definitely something that can control your life if you allow it to. You don’t have to live your life in misery experiencing symptoms such as wheezing, breathlessness, coughing and even chest tightness. There are some people who experience worse symptoms than others. Some people have even lost their life to this disease. If you are someone who been experiencing asthma symptoms, then consider getting treatment so that you can be able to have more control. Some people who suffer from asthma symptoms lose control, causing them to miss work, avoid social events, lose their jobs, fear going out in public due to having a possible asthma attack and more. If you are someone who suspects that you may be suffering from a severe level of asthma, you may want to consider receiving treatment for your condition. According to the Asthma and Allergy Foundation of America, there are approximately more than 10 people in the United States who end up losing their life Asthma. Studies show that in the year 2015, there were about more than 3,615 individuals who lost their life to asthma in the United States. Statistics have also found that adults were four times more likely to lose their life from asthma than children are. Women are also more likely to lose their life to asthma than males are. Interestingly, Studies have also found that African-Americans were more than three times more likely to lose your life from asthma than any other race. Getting diagnosed with asthma can be traumatizing for many individuals who have lived a healthy life. Asthma symptoms can be extremely intense and can even prevent you from living a life that you are used to living. If you have been diagnosed with having asthma symptoms or have asthma symptoms that are uncontrollable, you may want to consider seeking professional assistance. Fortunately, there are many facilities that specialize in treating asthma symptoms. There are many individuals who suffer from asthma symptoms that begin from specific allergies. 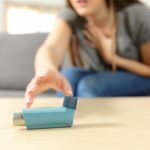 If you are someone who has had recurrent episodes of asthma, you may want to consider receiving professional treatment in order to have more control. Controlling your asthma symptoms will be able to assist you with living a better life. Take time to consider conducting your own research online by looking up any allergic asthma services franklin wi. From here, you will find a list of quality professional centers near you. Living with asthma is something that no one wants to deal with. When you are able to receive professional services for your allergy related asthma, you could be able to finally find relief. If you have been searching for more control over your asthma symptoms, consider reaching out to your nearest asthma services facility.